Stainless Steel technology "inox line"
Pure race inspired and designed, but built for the real world road for the everyday driver. 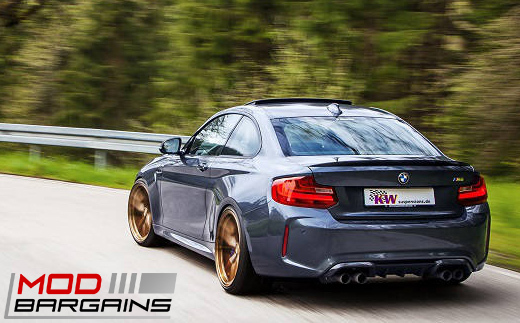 The KW Variant 3 of the "inox line" is a name taking the suspension industry by storm. Known for their premium quality grade products they produce. You know your heading in the right direction when you have KW in mind for your ride. The V3 series has 16 different adjustable settings to set your rebound, and 12 different compression settings to suit any of your driving needs. Whether it may be ripping through the canyons on the weekends or on your "de tour" coming home from work. Or just a everyday highway commuter that needs that extra confidence boost when you encounter everyday city problems like potholes and Prius drivers. The V3 has everything you need to keep your mind at ease and enjoy the drive more. 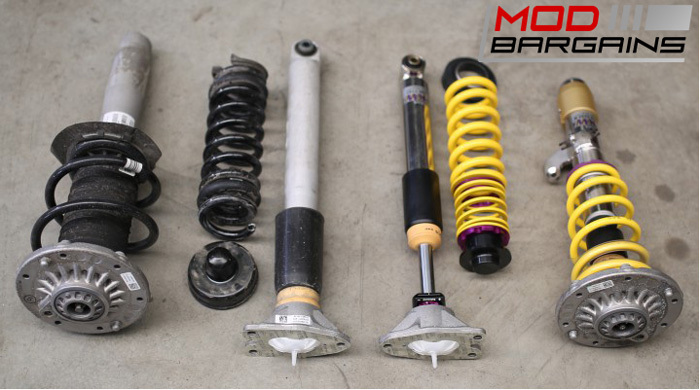 By adding a set of coilovers to your ride you get that automatic sporty look by eliminating the wheel gap. 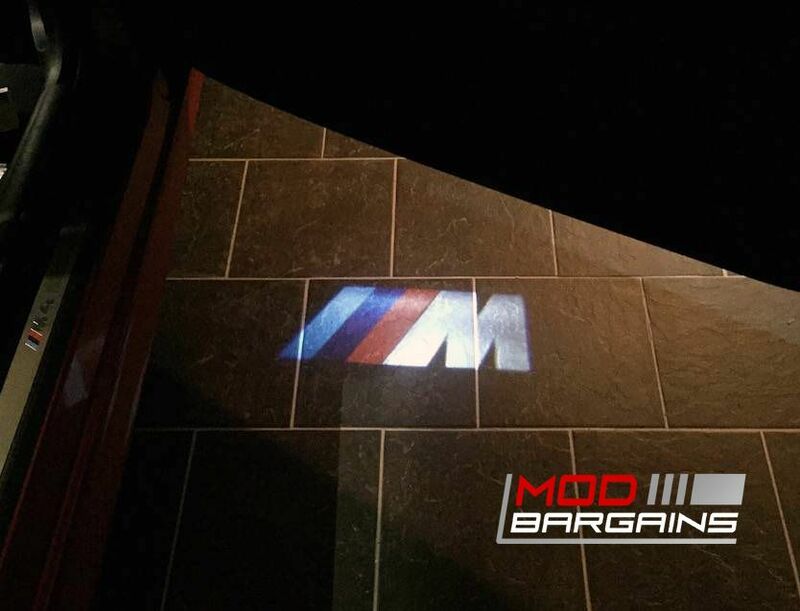 A feature that every car enthusiast will be sure to notice. 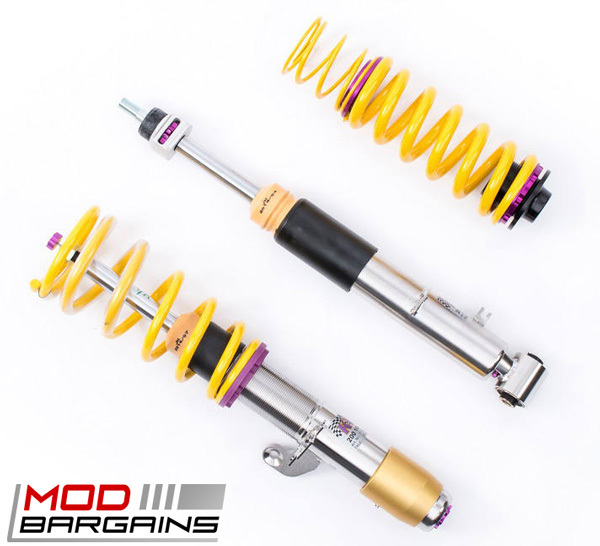 The v3s are salt tested so you dont have to worry about the looks of your suspension fading over time, because they wont, ever. They are bulletproof to brake dust and sand grain.